Jenny Hager is an Associate Professor of Sculpture at the University of North Florida, where she has been teaching for nine years. She received her MFA in Sculpture and Digital Media from San Jose State University in San Jose, CA. She also holds a BA in Art Education and a BFA in Art Studio from the University of Kentucky in Lexington, KY. Interested in a variety of processes and materials, including steel, cast iron, post-it notes, video, wood, digital photography and found objects, she finds inspiration in dreams, objects from her childhood, gadgets, sea life and other curiosities. She is also very interested in collaboration; the spirit of community important in both her teaching practice and in her own work. Hager’s cast iron work has been exhibited across the country and recently in the Cymru Ironstone Castle Exhibition in Wales. Flight Lab, a video installation has traveled to the Ogden Museum of Southern Art in New Orleans and York College, Pennsylvania. 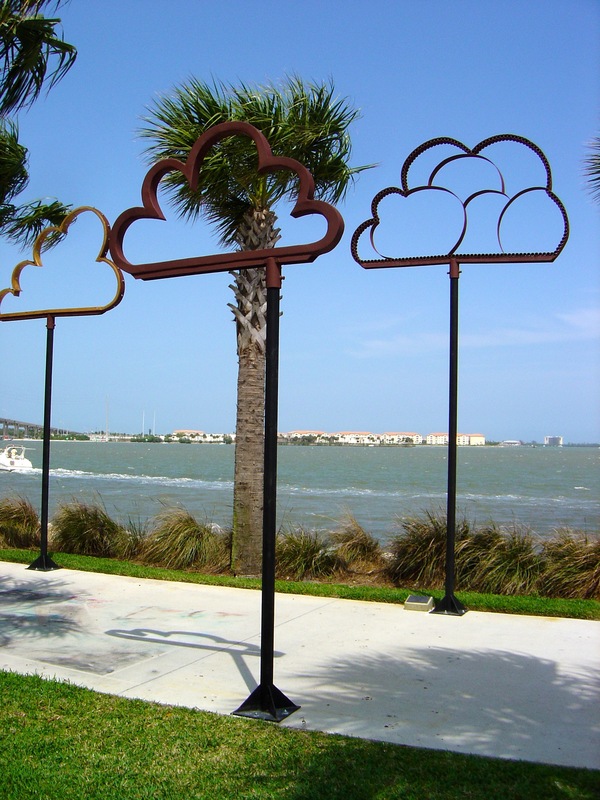 A collaborative work completed with her husband, Lance Vickery, Three Clouds, was recently on exhibit at the Knoxville, TN airport for the Art in Public Places exhibition. Hager’s other recent projects involve large-scale parade animals inspired by the Chinese zodiac and infused with a personal narrative. The first in the series was a 20 ft. tall horse, titled “Trojan Horse,” a collaboration with colleague Emily Arthur. The second was a rat, which was featured at MOCA for the One Spark crowd-funding festival. The third piece, an ox, will be created at Josephine Sculpture Park in Frankfort, KY in July. Once all twelve characters are created, she plans to have an art parade, along with other artists and musicians, in Jacksonville. For the past two summers, Hager has traveled to Latvia and Italy to perform “Volcano Furnace and Flight of the Phoenix” with collaborators Andreas Glaser (Switzerland), Coral Lambert (New York), Cynthia Handel (Montana) and Susanne Roewer (Germany).